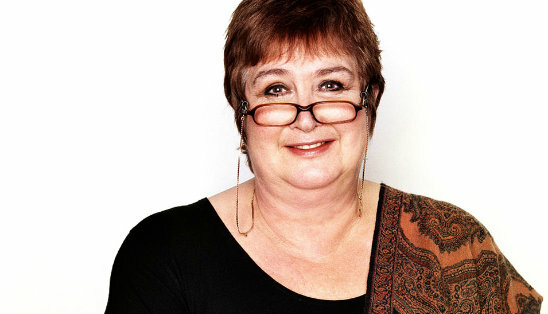 I was honoured to be asked to appear on the highly respected Radio 4 Woman's Hour with Jenni Murray to talk about the subject of Campaign Bloggers and the advocacy work Downs Side Up does. Natty and I chat to Lorraine on the ITV sofa. 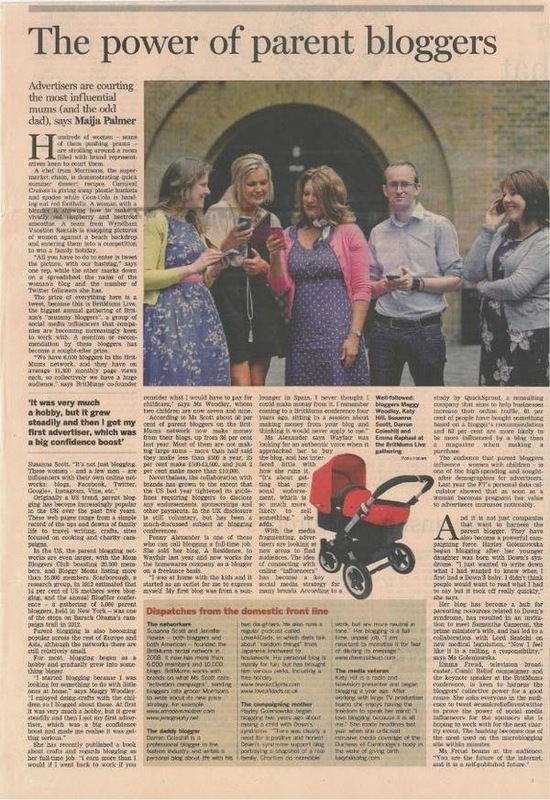 Now Magazine, Daily Mail, Daily Telegraph and international press cover the Sainsbury's back to school campaign story. 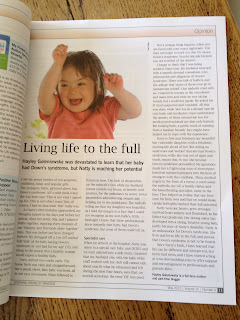 A mention for Downs Side Up as a high profile campaign blog in the Financial Times, and my reasons why I choose not to monetise my blog. A full page article by Alison Smith-Squire in the Mail on Sunday, designed to question the reasons for DS screening becoming standard and calling for more support for prospective parents at every step of the process. 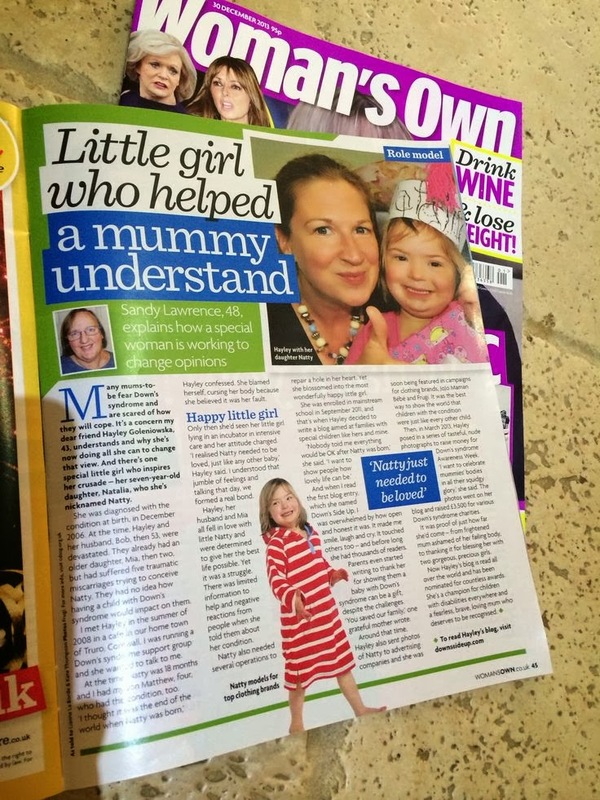 An interview with top UK magazine Woman's Own was sure to reach a wide audience and change perceptions of what it means to have a child with an extra chromosome. 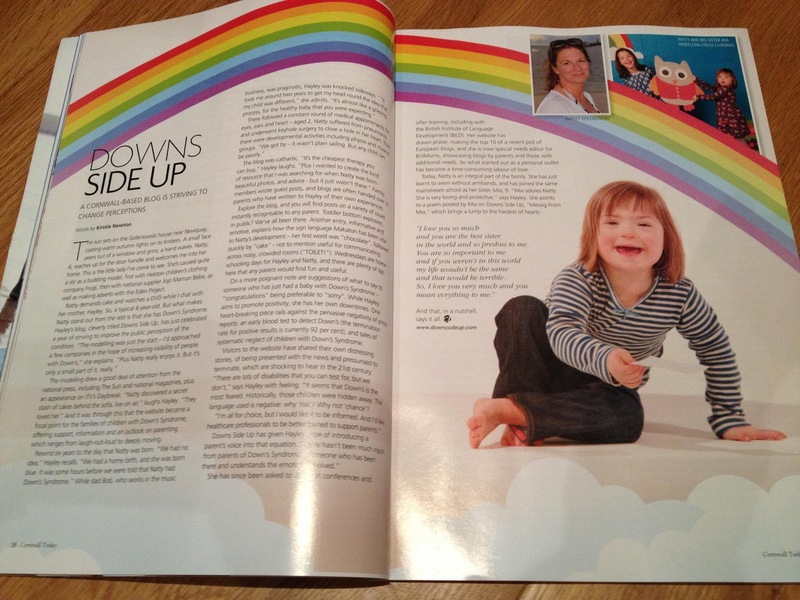 Model with Down's syndrome, Natty makes the final 50 out of 23,000 entrants to feature on Kinder packaging. 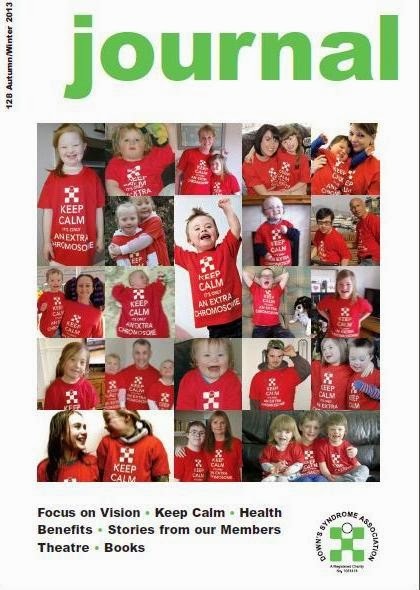 Can you see Natty on the front cover of the Down's Syndrome Association Journal? 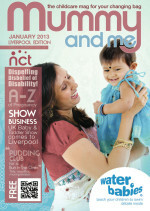 Journalist Kulsoom Rizvi wrote an article on the lives of children with disabilities in the UK as part of her PHD. It is published here on A Safe Ws for DS screening becoming standard and calling for more support for prospective parents at every step of the process. 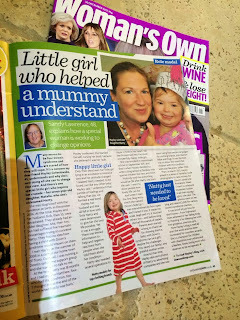 Downs Side Up featured in a 3-page spread in Mummy and Me Magazine in January 2013 discussing our feelings at the time of Natty's birth and giving advice to others on what to say when a baby is born with a disability. A lovely spread in Cornwall Today Magazine, focussing on the power of a simple blog. 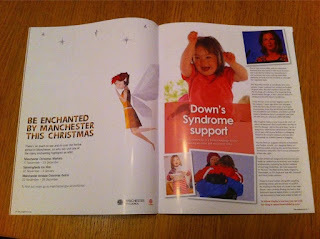 Elite Magazine featured the work of Downs Side Up, The Futures Rosie and A Different View in their special Down's syndrome edition. December 2012. 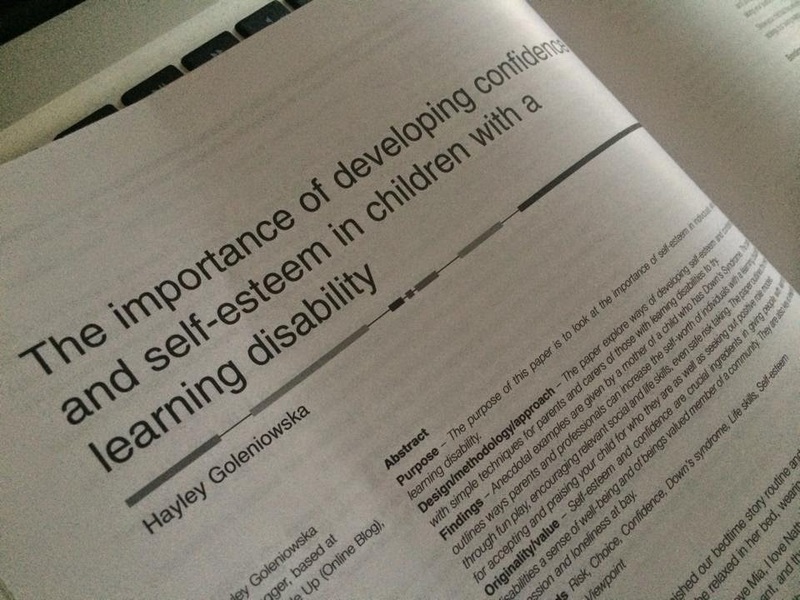 My first published paper in a medical journal Advances in Mental Health and Intellectual Disabilities is entitled The Importance of Self-Esteem in Children with a Learning Disability. Natty's appearance in the Mail Online. Read Parents' Joy as 5 Year Old with Down's Syndrome becomes a Model here. We chatted live on ITV Daybreak (after having our suitcases stolen on the way to London!). 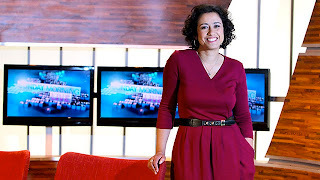 ITV South West interview Natty and I about blogging, cake and chickens. 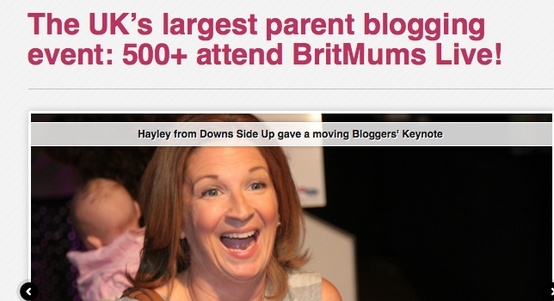 I was honoured to be asked to read from my blog to 500 BritMums Live delegates. I was not expecting the tears, the level of understanding and the standing ovation. We're often found on LBC or the David White Show on BBC Radio Cornwall chatting about fundraising or inclusive festivals or World Down's Syndrome Day or whatever is on our agenda at the time. We are Cornwall's Pirate FM's first choice for fast comment on issues and current affairs relating to Down's syndrome. 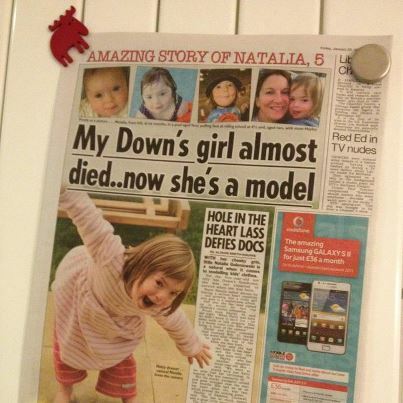 Natty was voted their Local Hero Child of Achievement of the Year 2013 for her forays into the inclusive modeling world. 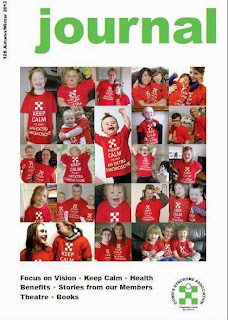 You can listen to the lovely interview ‘Cornish girl with Down's models for catalogues’ here for Heart FM. There are occasional last minute interviews for stations such as Spin1038 in Dublin or BBC Radio Devon or a little tea time chat with Sky News. You never quite know when they will hit.